Meera Syal, the actress and comedienne, will host a masterclass at this year’s Edinburgh International Film Festival (EIFF) as part of Skillset’s Trailblazers scheme. EIFF and UK training body Skillset launched the initiative three years ago to develop and promote new British talent. The Trailblazers – new filmmaking talent selected from Skillset’s Screen Academy and the EIFF British feature programme – include actress Kate Jarvis who stars in Andrea Arnold’ Fish Tank and Justin Molotnikov, the director of Crying With Laughter, which is in the running for the Michael Powell award. Skillset is also sponsoring the new directors award at the festival, which will be announced on June 28. The award is selected from first and second time film-makers in the Rosebud and British Gala sections. Previous winners include Paul Andrew Williams for LondonTo Brighton and Morgan Spurlock for Supersize Me. Sam Mendes’ Away We Go will premiere at the Opening Gala of this year’s Edinburgh InternationalFilm Festival (EIFF). The Edinburgh International Film Festival (EIFF) will host 23 world premieres, including Max Meyer’s Adam which will bring the 63rd edition to a close. Screen brings you stills and details on the upcoming world premieres at the Edinburgh International Film Festival June 17-28, 2009. Highlights include the UK premiere of Finding Dory and the world premiere of the 4K restoration of Highlander [pictured]. EXCLUSIVE: Opportunities available for new and emerging filmmakers, and pitching sessions among programme. 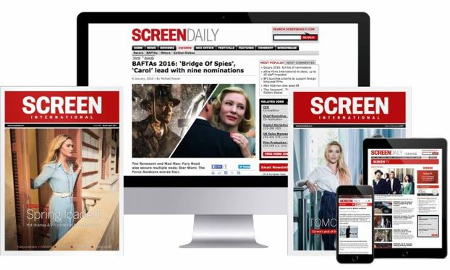 Adams will step down as Screen International reviews editor at end of February.